Solo camping is camping out by yourself with no one else nearby to be in complete solitude. To many this may sound like a rather unsociable approach to camping but it does have some great benefits. Solo camping due to its solitary nature is never truly experienced at campsites. 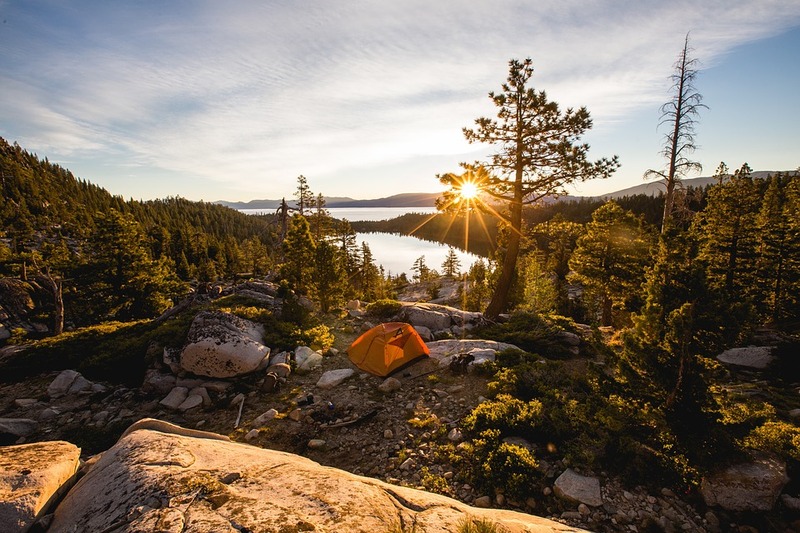 This comprehensive solo camping guide will show you the best way to go about camping alone. More often than not solo camping is best suited to wild camping and stealth camping expeditions. Solo camping can allow you to get away from it all and due to the fact you are alone makes it easier for you to melt into the landscape. Solo camping is a great way to experience your own thoughts experiencing complete self reliance in the wild. It is a complete art within itself facing the fear of the woods at night being the ultimate mental challenge. In native North American tribes young warriors would spend sometimes up to two years alone in the wild! This made them proven survival experts with fortified spirits at one with nature. 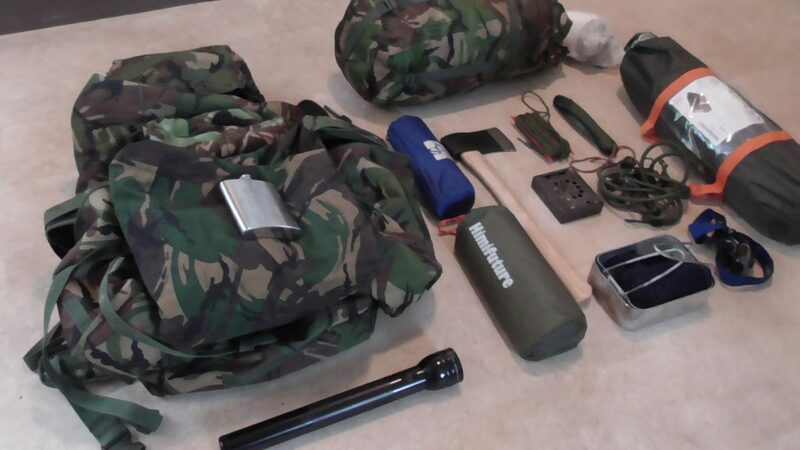 This type of camping requires its very own tactics, resolve and specific kit. Solo campers are not reliant on anyone else carrying everything with them into camp where ever it is. Here we have put together the things you should consider with our solo camping guide for wild living. 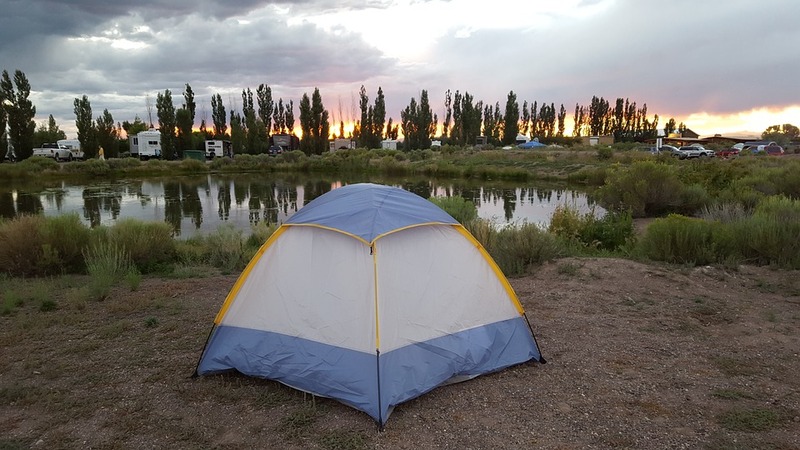 Solo camping allows you to shed all of the noise and drama of everyday life allowing you to reconnect with nature. Being alone in natural landscapes allow you to explore your thoughts and emotions in a way not possible in civilisation. This can be a great benefit to your life allowing you to separate emotions from mental clutter. From personal experience wild, solo camping is a great way to reduce the stresses and strains of life. Sitting alone at night reminds you that everything humans have created is an illusion! All that is really real in this world is nature and solo camping allows you to experience this in its rawest form. Solo camping is a great way to experience wild natural landscapes without the confines of a traditional campsite. This is ideal if you are aiming to move from place to place when travelling over long distances. This can allow you to see new places and explore landscapes off the beaten path. 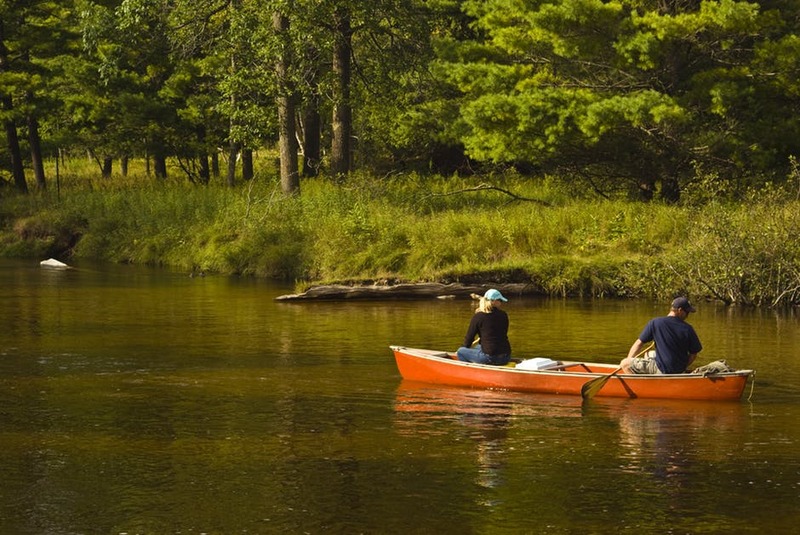 Solo camping can go hand in hand with other activities such as hiking and biking. 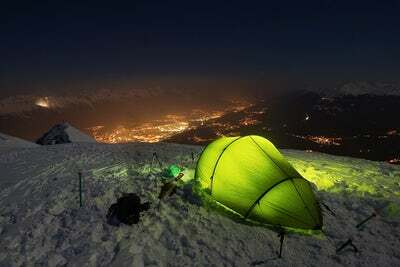 Combined with solo camping such activities can become expeditions leading to exciting adventures. Solo camping can remove you from society in a way alien to most of the population. Solo expeditions can make you a better camper refining your equipment so you can move into ever more secretive locations. This way of camping forces you to take time out from television, social media and the daily stresses of life. Camping by yourself allows you to experience nature in a very intimate way. Experiences like watching the sun come down in the evening the sound of owls or watching a camp fire can excite your senses. Solo camping can be a great spring board into survival training and prepare you for the worst of any disaster. By experiencing being alone in the wild you can familiarise yourself with the vigour’s of wild living. 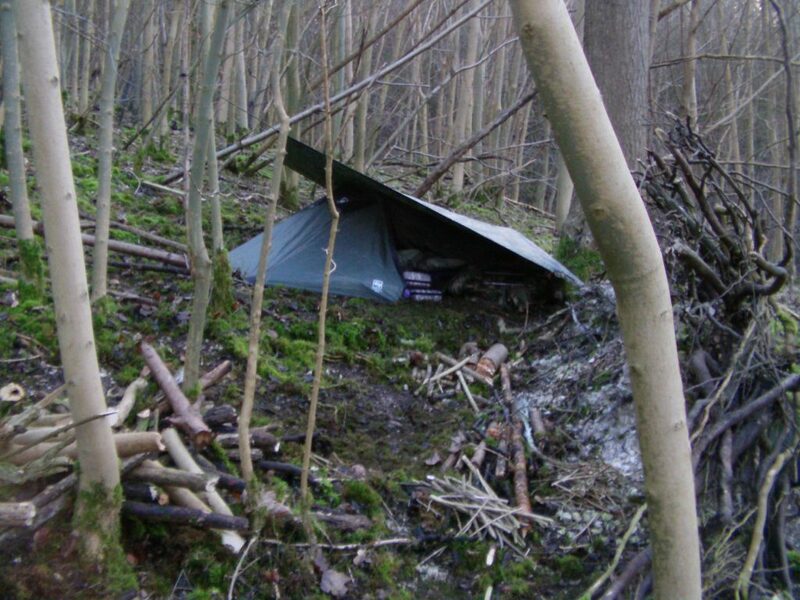 Time spent outside in this way can be utilised to develop skills such as bushcraft and foraging. Solo camping can also be a great method of physical and mental conditioning. Carrying a large rucksack with everything needed for survival can make you much stronger and fitter. Being alone at night in the woods is a great way to face your fears and build confidence to your personality. This can boost your esteem making you realise you have what it takes to survive alongside nature alone. 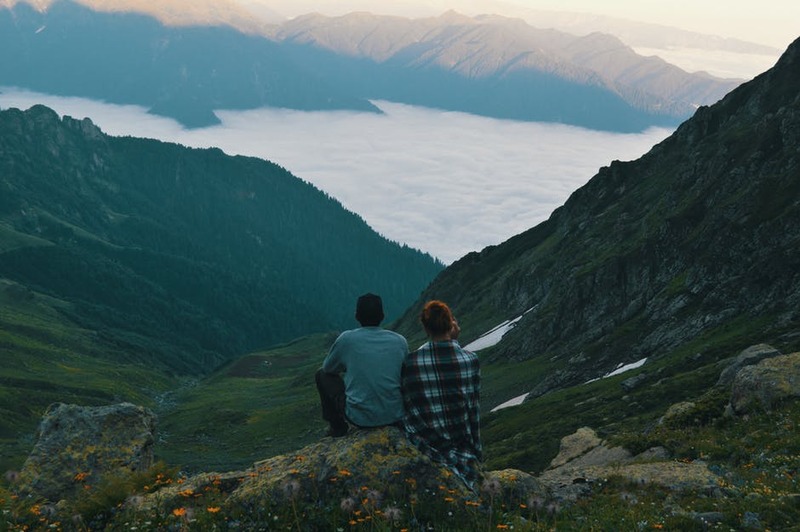 Connecting with nature is something not many people do in day to day life. In recent years the development of digital entertainment and social media has allowed people to become detached from the great outdoors. There is much scientific evidence to show that physical activity within a natural environment is extremely good for us. With an ever growing decline in mental and physical health activities such as solo camping can be a fantastic tonic. 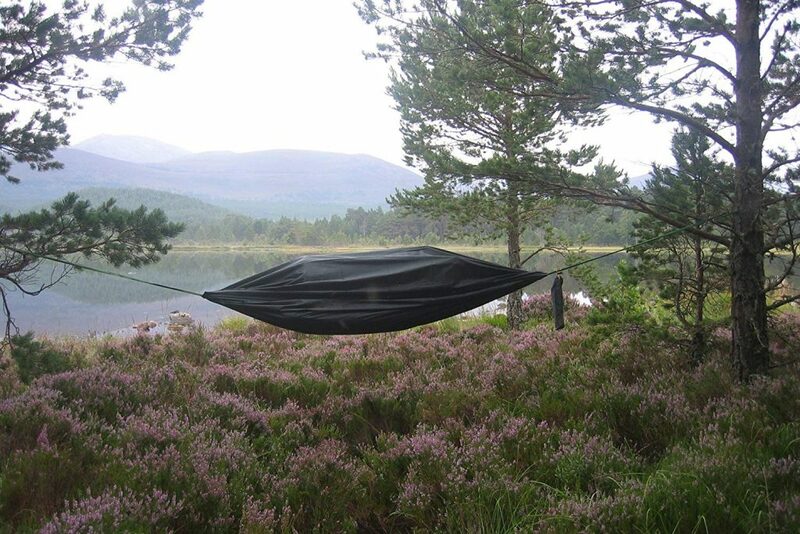 Solo camping can allow you to experience small wonders like the sound of birdsong and rustling of the trees. Many who find activities which require lengthy periods of time outside in silence find it to become addictive. If you ask any fishermen, gardener or solo camper why they love what they do many will not be able to explain the joy they gain from them. From my own experience loving all three of these activities it connects to a spiritual side. Being surrounded by the natural world and focusing on your calm state of mind nourishes our souls in an indescribable way. This in my opinion is a form of wild, spiritual meditation which is good for replenishing your mind and soul. Solo camping is an extraordinary way to connect your inner thoughts, spirit and the natural world. This process can relieve anxiety and bring happiness into your life. One of the biggest reservations people have when first contemplating their first solo camp is fear. It is understandable that a fear of wild animals or bogeymen in the night can make this seem a bad idea. The truth of the matter is everything in nature is extremely wary of man and will do their best to avoid you. Sometimes the biggest fear for people is being alone with their own imaginations. The best plan of attack for this is getting used to wild camping with others first. When enough confidence has been accumulated camp further away from everyone but still nearby. You can repeat this process until you are practically alone but a short hike away from other campers. Solo camping is an extremely empowering experience which should be tried by everyone at least once in their life. 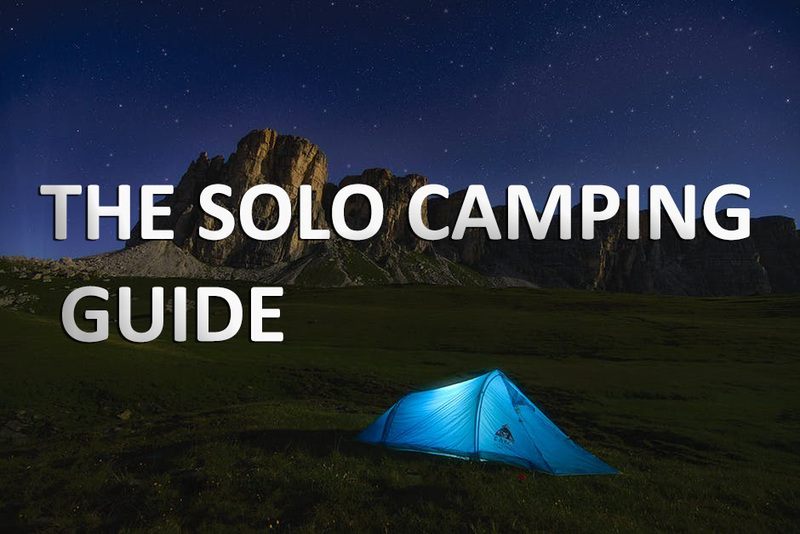 This solo camping guide should give you the knowledge and confidence you need to got for it on your own. How long should I solo camp? However long you decide to go solo camping for will be up to your schedule and ambitions. When it comes to solo camping it has to be said the more you do it the more you will master it. I find two nights makes up a rather satisfying camping expedition. If you are a beginner obviously getting through one night is more than good enough. Solo camping can be the most rewarding when completing a challenge having an end goal in mind. Sometimes setting a up a solo camping expedition on a well known hiking trail can be a rewarding experience. Solo camping journeys and expeditions such as these can be a great way to discover yourself outside of day to day life! Your solo camping gear and equipment will be the most important aspect of successful trips to wild places. You will have to carry all your food, shelter and survival gear on your back usually in a large rucksack or began. Most of the largest Bergen’s are up to 120 litre volume. This means your kit must be refined enough so you can fit it all in and access with ease. Another major assessment of your solo camping gear is can you carry it all? Weight soon piles up when arranging your kit and you will need to practice and train with your equipment. For the most part most solo campers gear will be the same as those doing wild camping. Check out our article on wild camping equipment with a great break down of the gear needed for solo camping. Find it here. Due to the fact there are minimal distractions when wild camping meal times become a big event. My favourite times solo camping is by a small, warm camp fire char grilling steak or kebabs with fresh flatbreads. Whatever your taste is when it comes to food when solo camping what you take depends on your preferences. If you are able to have a camp fire a way of grilling can be set up quite easily. 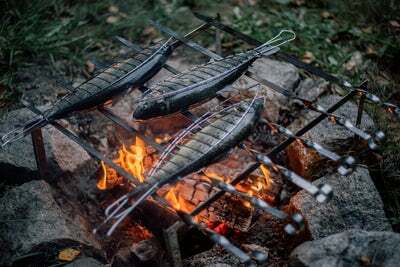 For grilling meats I usually take a flat packing foldable camping grill. This can stand over the fire for cooking all sorts of meats. Always remember to be careful when handling raw meats when camping. It is not that easy to clean your hands in the wild and you do not want to become ill. The meat with less chance of infection are red meats like beef. What I do is seal them in zip lock bags with some seasoning and just place them on the grill until cooked. Vegetarian skewers, stews and curries can also be warmed up in this way. If you cannot have a fire stoves are just as good for outside cooking and warming. 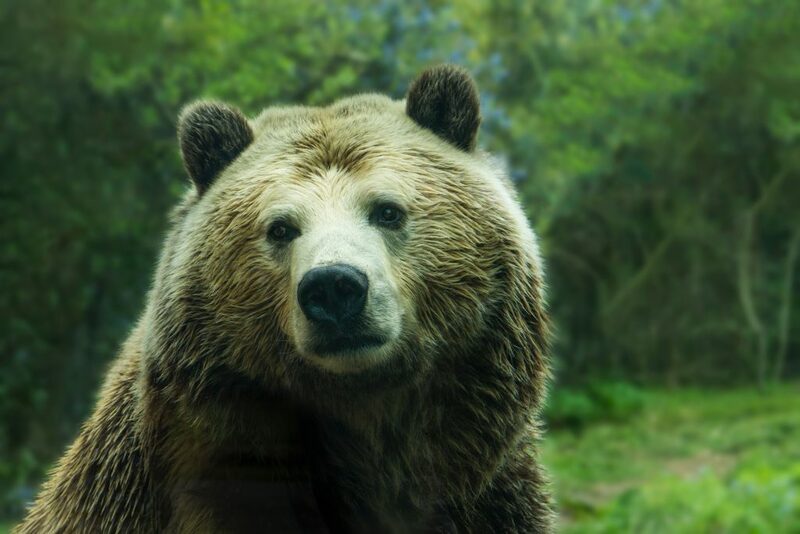 When camping in an area with bears remember cooking smells can attract unwanted attention. 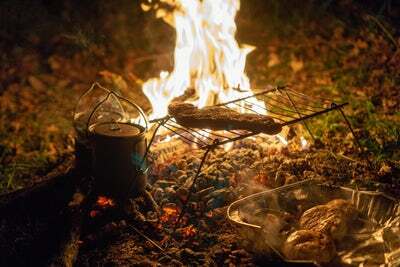 If you are solo camping for more than one night the weight of food can become an issue. A good way to get around this problem is to use dehydrated food you just add water to. You can if you wish cook everyday food at home and dehydrate it with an electric dehydrator. These sorts of rations can be separated into robust zip lock bags for portion storage. When you want to eat simply add boiling water to hydrate them. Water can be carried with you on short solo camping expeditions but remember it is heavy. One litre of water weighs around one kilogram which is a lot and soon builds up. If you are moving through an area try to research if there are any water scources on route. If you moderately trust natural water sources within the landscapes fine but it is best to boil all water first. Don’t take water from the landscape if it is close to human habitation, industry, is very cloudy or foul smelling. You can also buy water purification tablets and water purifiers online. Solo camping locations come down to your preference but wild woodlands and mountainous areas are best. Try to do your research and make sure you are not breaking the law. Laws will depend on where you live in the world but stay away from signs that warn you not to enter. Most of the time solo campers wish to stay hidden within the landscape. 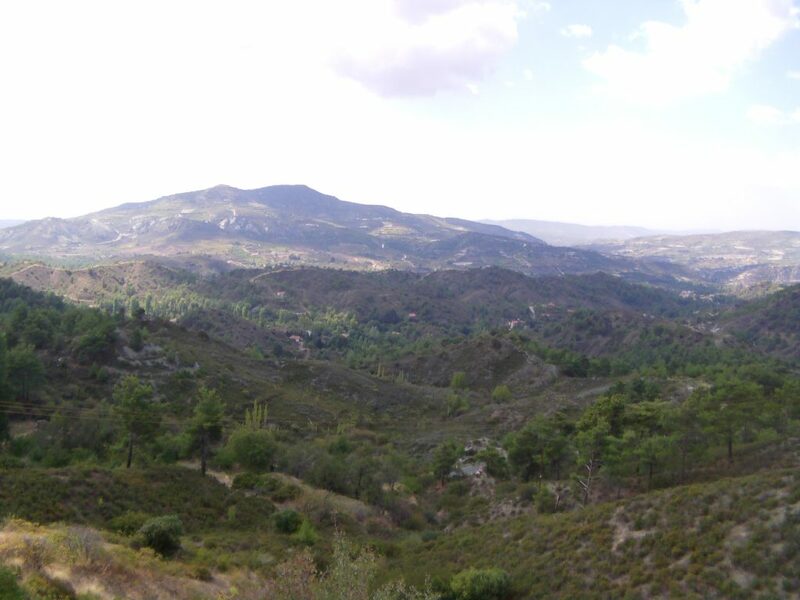 It is best to select hidden areas with dense vegetation and undulating land formations to keep you hidden. Remember that solo camping means there is no one around to help you if you become injured. 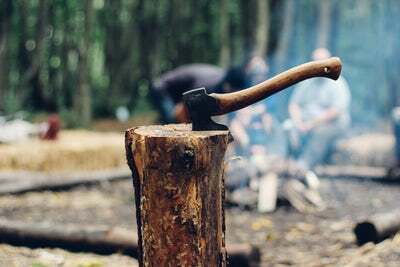 Try not to use tools like axes and knives which could maximise your chance of injury. Always let someone know where you are going and when you will be back. Leave a map and detailed description somewhere obvious or email it to multiple people. Try to pick places that either have mobile phone reception or can be accessed nearby. 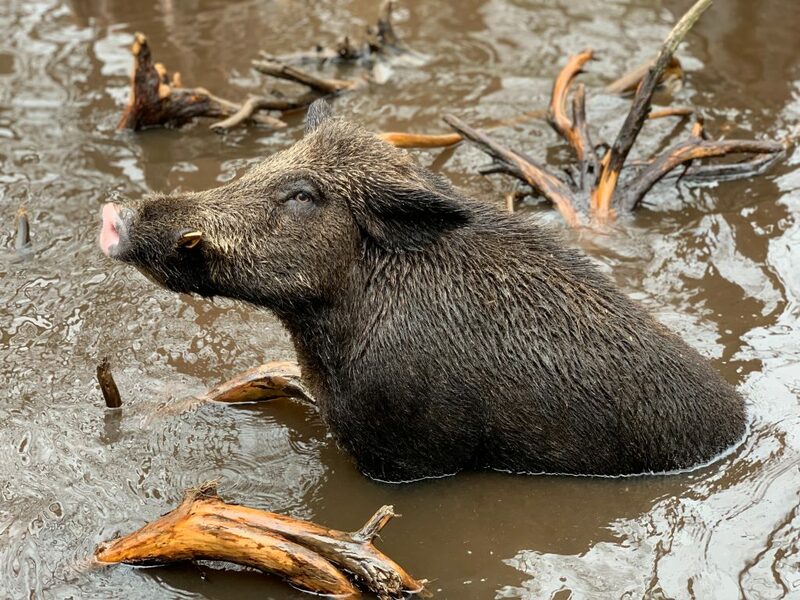 When researching your potential solo camping spots try to stay away from places with large farm animals and hunting. Try not to camp anywhere that is gated off you do not want to risk getting locked in anywhere. When planning your safety think about the worst possible scenarios and how you could mitigate against them. 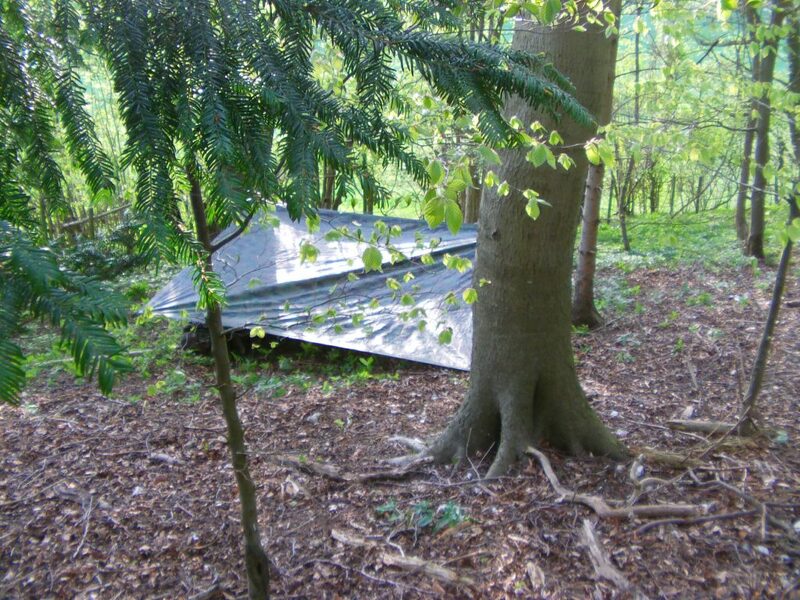 Wild animals are not always a common issue for most people when camping especially in the UK. Most wild animal’s even large predators have a natural fear of people. Try to research what wildlife you have in an area and find out if there has been any attacks before. If you have bears in your area carry something that can scare them off and keep your food strung up high in a tree. Try to educate yourself what procedures you should carry out if encountering specific predators within a given area. Generally you should not run from predators but stand your ground look big and make a lot of noise. Although camping alone can be an invigorating experience not everyone is used to spending too much time alone. If you are going solo camping for more than a day having some activities to take with you can be a good idea. 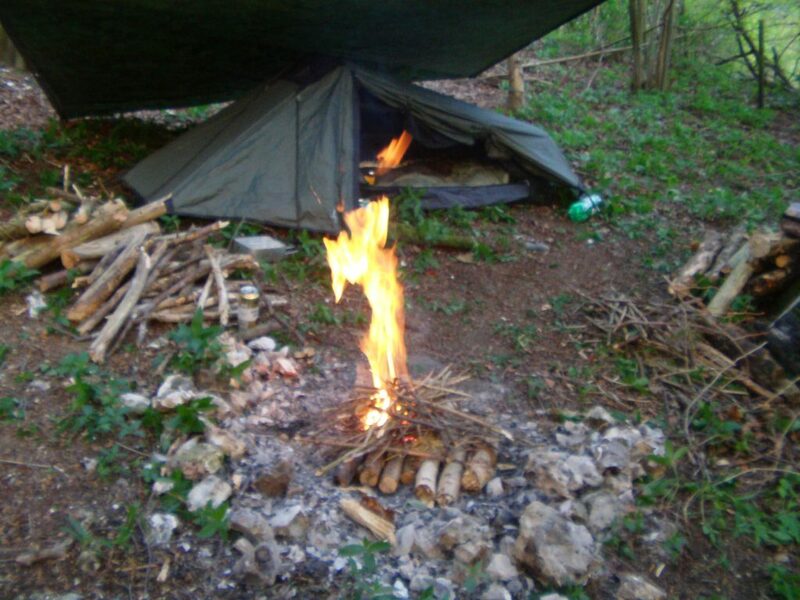 Taking a great book or practicing wild camping skills such as making fire and bush craft can be a great option. Most of the time solo camping can be a night time experience combined with daytime activities such as hiking, fishing and hunting. Always try to have a rough schedule of things you wish to achieve during your solo camping expeditions. Although solo camping does not sound like everyone’s cup of tea it is an ever popular past time. In a world that bombards us with flashing images and excessive workloads it is crucial to get back to basics sometimes. Solo camping allows us to get back to nature in a thrilling and soul inspiring way. If you love a challenge or want to try something new! Solo camping can give you a primal awakening which is sure to be a break from the norm. Let us know how your first solo camp goes or how you love to solo camp? Thank you for reading our solo camping guide. Did it help you with your search? If it did why not share it with others? This really helps us to know we are writing articles people want to read and inspires us to produce more. Thanks again!